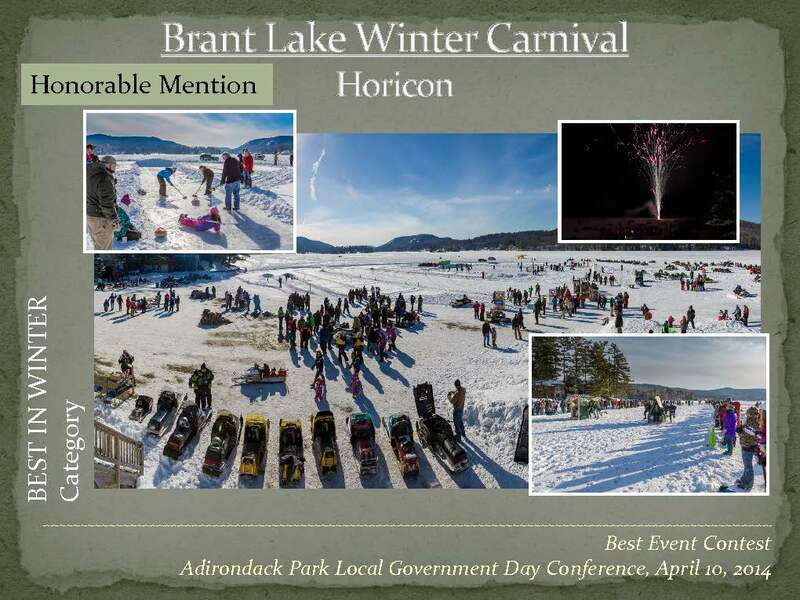 The Brant Lake Winter Carnival turns the work of a small number of volunteers and a modest budget into a real tourism draw and lots of family fun. The Winter Carnival is full of many activities that everyone can participate in regardless of age. Our first year headlined with a successful outhouse race, and was joined the second year with an exciting Fry Pan Toss. If you have never seen it an Outhouse race, it features an occupied and decorated outhouse on skis that is propelled by runners at high speed down a racecourse to outrun it’s adversary. See our photo gallery for our pictures from 2015, 2014 and 2013.